The political opposition is no longer allowed to assemble downtown and leaflets from Aleksey Navalny are confiscated by police. With only two months left until the Presidential election, law enforcement authorities in Murmansk are taking new measures against the political opposition. According to Violetta Grudina, leader of Aleksey Navalny’s regional office, local authorities have now decided that it will no longer be allowed to hold rallies in the downtown park at Leningradskaya Street. For several years, the centrally located square has been used for public meetings by opposition groups, and has popularly been referred to as the Murmansk «Hyde Park». The assembly ban comes as Grudina and her associates are planning a major demonstration on the 28th January. «The authorities are so afraid of the rally on 28th January that they have excluded the Hyde Park from the list of places where we can assemble for rallies», Grudina says in a tweet. 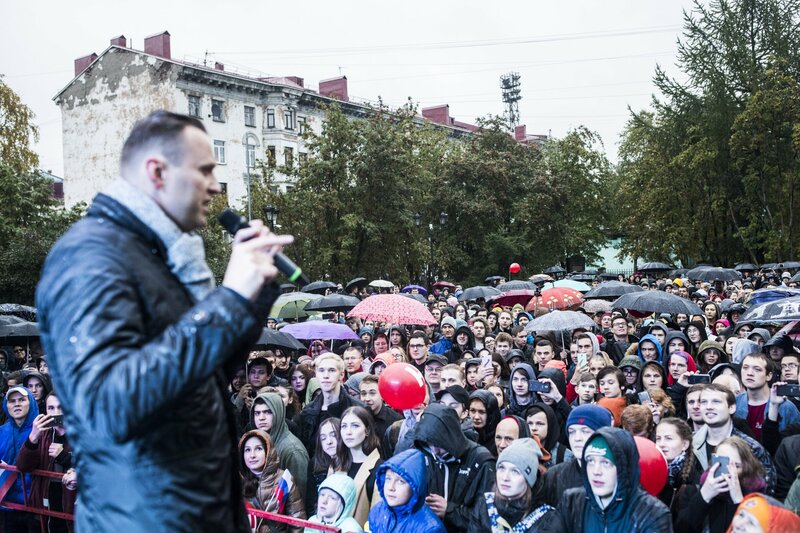 When Aleksey Navalny visited Murmansk in September last year, several hundred supporters assembled in the downtown park to listen to the politician. Since then, a series of troubles have followed for Violetta Grudina and the rest of Navalny’s Murmansk office. According to the opposition group, police this week confiscated a shipment of agitation leaflets sent from St.Petersburg to Murmansk. 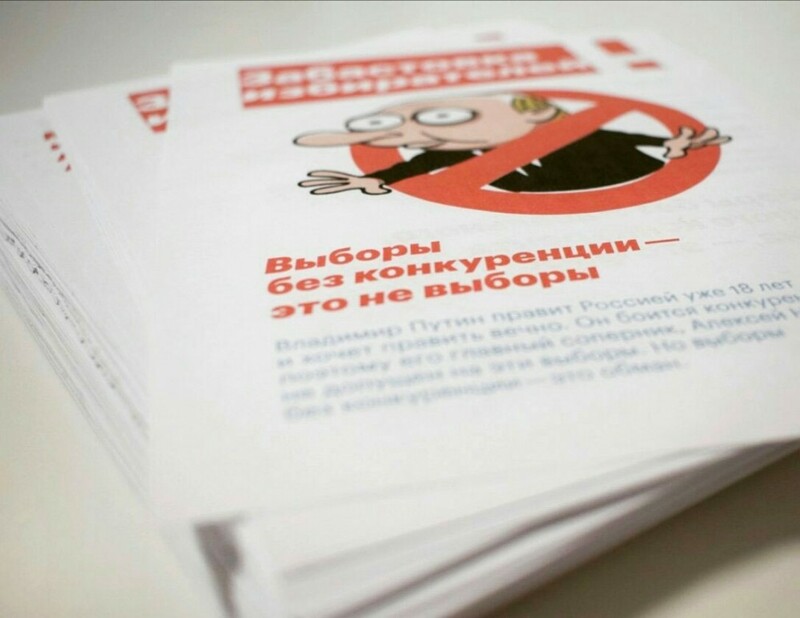 The leaflets included information about Navalny’s campaign on boycotting the presidential election and was to be distributed to people and households in Murmansk. According to Violetta Grudina, she was this week approached by the local transport police which informed that the package of 10,000 leaflets had unlawfully been opened on its way from St.Petersburg. Therefore, the police argued, the package could not be delivered. Grudina was taken to the police station for explanations, but was not allowed to leave with the package of leaflets. Treatment from the police has been rough ever since followers of presidential-hopeful Aleksey Navalny opened and office in Murmansk on 31 July 2017. Less than a week after the office opened seven activists were detained by law enforcement officers when they were distributing campaign newspapers and balloons. Aleksey Navalny was late December barred from taking part in the 18 March election by the Russian federal Election Commission. That has made the opposition candidate call for a boycott of the vote.